nariman point's tetrapods, the back bay and apartments at cuffe parade. 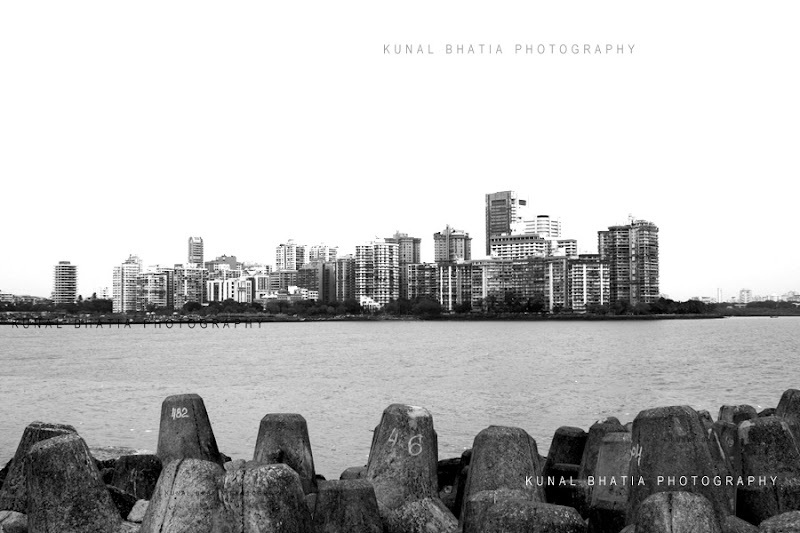 part of a new series: mumbai_scapes. Would love to know if there is a java script for the changing banner you have. i love it. What are those things in the foreground? Is there a reason they are numbered? @ Mayank: Thanks. If you google chnaging blogger header image, you should be able to find something. @ Southernshoreandbeyond: Those are tetrapods, which are large rocks placed along the shore, to reduce the damage caused by lashing sea-waves. I'm guessing they were numbered because they'd had to be bought / casted somewhere. lovely pic kunal, where were you standing while taking the pic? @ Anuj: I was at Nariman Point.